So as you can probably tell this meant I had a lot of posts on my feed and I loved it. My Instagram was different and it was something that I loved. I was pretty enjoying the way it was going and through that I started following a lovely girl called Poppy who also shared the same love for Marilyn as I did. Marilyn is Poppy's idol, inspiration and most importantly QUEEN and rightly too. I think all fans of Marilyn think this. This is the beauty of social media because you find people who love the same things you are interested in too. Its crazy to think how people post images of Marilyn and Audrey - two of the most well known icon Hollywood stars of the 1950's. Recently I have not been posting pictures of Marilyn. This is because I feel I have posted the majority of photo's of her and believe me that is a lot! I have occasionally posted the same pictures and I have had to delete them. There is something about Marilyn Monroe who people still love and I believe she is looking down on all of the Marilynettes out there to keep her alive, who are showing other people how much of an amazing woman she was! 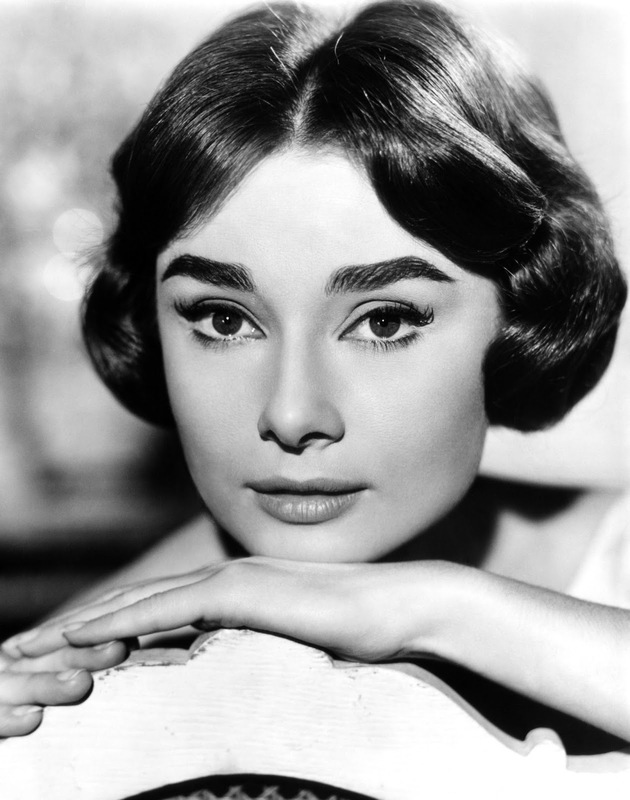 That is like with any Old Hollywood Star, the same has happened to Audrey and Lauren where you can only post so much before you have posted their entire life. 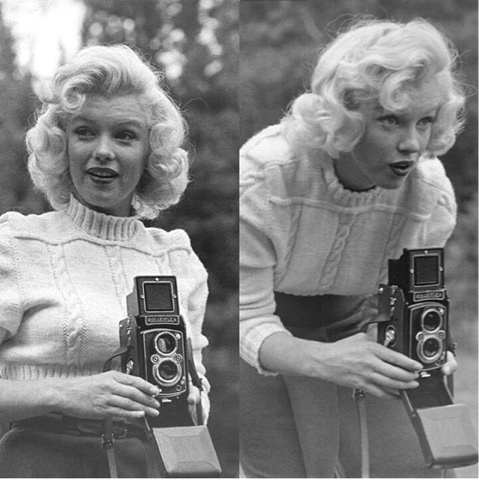 The other day I found a couple of rare images of Marilyn and had to post them. I love the day when you find new pictures of her! I love the images of her as she was known 'Norma Jeane'. WHAT DO I POST NOW? Vintage. That's what I love. The 1950's will always be my favourite. BUT I also found a new love of the 1960's. The music has always been my love because of The Beatles, They are my all time favourite band and I adore them. I never used to post a lot on The Beatles, an odd image of the boys together and Paul and John. I do not really know why but McCartney and Lennon were the ones for me. Why? I do not have an answer apart from they both wrote the songs. I was 16 when I thought that and I'm now 23 so in that time I have started thinking differently. 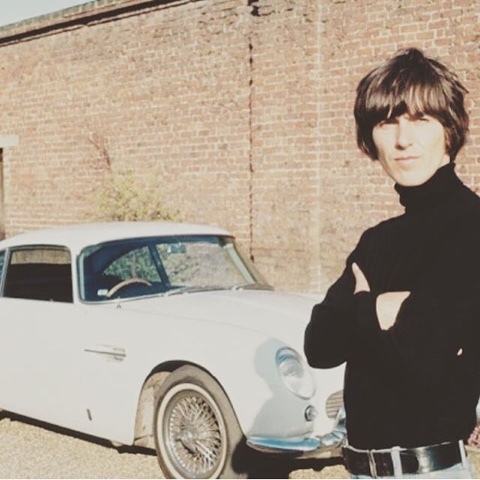 Well I say that it has only taken this long to realise how handsome and most importantly a talented musician George Harrison was and I mean 5 weeks?! 5 weeks I saw some photo's of George and his first wife Pattie Boyd and thought wow they were the perfect couple. Since that day I have not been able to express how much I adore George Harrison and how talented he was. WAIT,, this does NOT mean I did not think he was talented because of course I did. I just did not know a lot about him! The Beatles would not be The Beatles without Ringo Starr, I could not forget about him.